CNN To Move Cuomo Opposite Hannity And Maddow - Joe.My.God. CNN is turning to one of its morning anchors to shore up prime time. Chris Cuomo, the outspoken co-host of “New Day” who has gained prominence — and received some right-wing blowback — for his coverage of the Trump administration, is set to take over the network’s 9 p.m. slot on weeknights starting in the spring, CNN said on Wednesday. 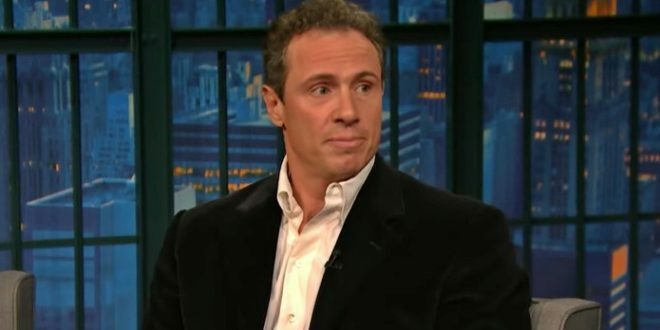 The move would catapult Mr. Cuomo, 47 — a son of Mario Cuomo, the former New York governor, and the brother of Andrew Cuomo, the current governor — into the highest echelon of cable news, pitting him directly against Rachel Maddow of MSNBC and Sean Hannity of Fox News. CNN has struggled recently in prime time, falling to third-place behind Fox News and MSNBC, as viewers are increasingly drawn to partisan commentary. John Berman, a veteran television anchor and correspondent, is set to replace Mr. Cuomo on “New Day,” where he will lead the network’s morning coverage with the current co-anchor, Alisyn Camerota.